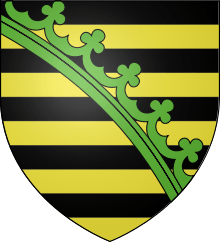 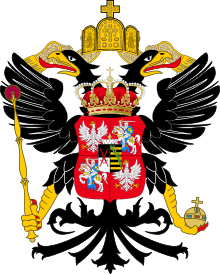 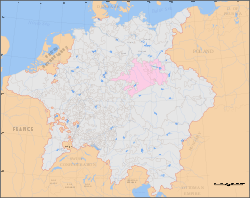 The Electorate of Saxony (German: Kurfürstentum Sachsen, also Kursachsen), sometimes referred to as Upper Saxony, was a State of the Holy Roman Empire established when Emperor Charles IV raised the Ascanian duchy of Saxe-Wittenberg to the status of an Electorate by the Golden Bull of 1356. 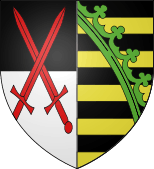 Upon the extinction of the House of Ascania, it was enfeoffed to the Margraves of Meissen from the Wettin dynasty in 1423, who moved the residence up the Elbe river to Dresden. 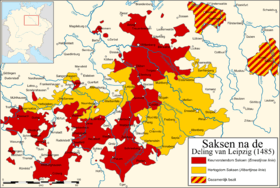 After the Empire's dissolution in 1806, the Wettin electors raised Saxony to a kingdom. 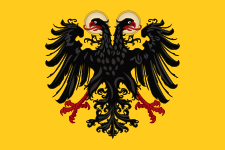 The most zealous promoter of the Catholic faith in Saxony was the Austrian Archduchess Maria Josepha, daughter of the Emperor Joseph I, who in 1719 married Frederick Augustus, later the second elector of that name. 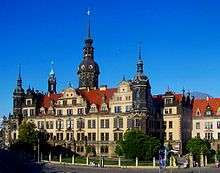 The Court Church of Dresden was built 1739–51 by the Italian architect Chiaveri in the Roman Baroque style; heavily damaged during the bombing of Dresden and rebuilt. 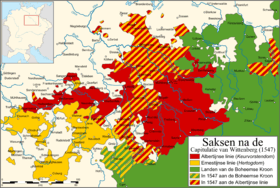 Notwithstanding the faith of its rulers, however, Saxony remained entirely a Protestant country; the few Catholics who settled there remained without any political or civil rights.